Finally! 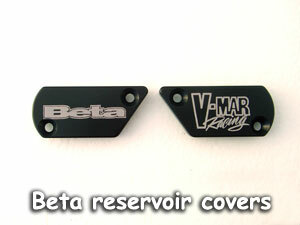 We now offer our beautiful billet reservoir covers for the Beta. 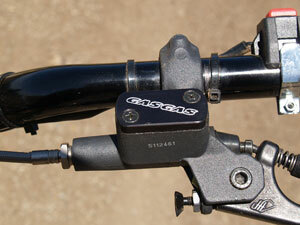 Avail with the V-Mar logo, or the Beta logo for both the brake and clutch master cylinders. 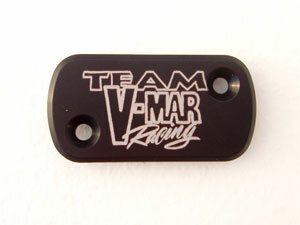 We also have a new Team V-Mar graphic avail on the large AJP res cap. 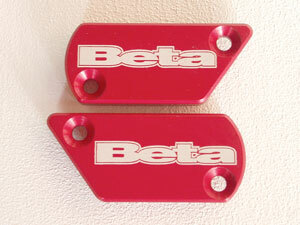 Replace your stock plastic brake and clutch reservoir caps with our beautiful and strong aluminum caps. Two sizes are avail to fit the larger 54mm long AJP master cylinders, or the newer, smaller 42mm master cylinders. 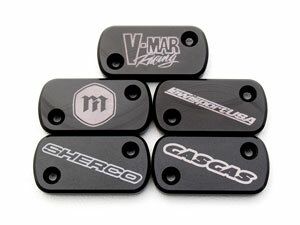 Precision CNC machined from 6061 T6 aluminum, black anodized with laser engraved artwork. 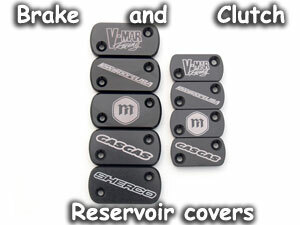 Reservoir caps avail with the V-Mar Racing logo, Lewisport USA logo, Montesa, Gas-Gas, or Sherco logos. Custom caps are avail for your trials shop or your club. 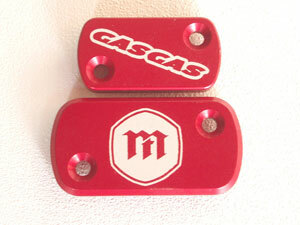 Contact us to discuss doing custom reservoir caps with your company logo, team logo or club artwork on them. I am still checking the sizes on all the various makes and models. The table is not all inclusive, the caps may fit other bikes/years, and may not fit the bikes listed above. To be sure, just measure your existing cap. If its an AJP master cylinder and the length matches, the cap should fit.